Martin Parr, tutti i libri disponibili. When Martin Parr’s ‘The Last Resort’ was first published and exhibited in 1986 it divided both critics and audiences alike. Some saw it as the finest achievement to date of colour photography in Britain whilst others viewed it as an aberration . With the benefit of hindsight there is little doubt that it transformed documentary photography in Britain and placed Parr amongst the world s leading photographers. The book is now recognised as a classic and is highly sought by collectors worldwide. Steering a perilous course between objectivity and voyeurism, Parr viewed the decaying holiday resort of New Brighton and its holidaymakers in a way that was new, unique and deeply disturbing. And he did so in colour, something which at the time was seen as revolutionary for documentary work. For some his camera seemed cold and cruel as it followed the working classes desperately pursuing their holiday dreams surrounded by dereliction and decay and wading through the apparently endless detritus of a pollution-ridden consumer society. Others felt it showed an affectionate, humorous and humanistic response from Parr. However it was viewed, it was undoubtedly a sharp, bitter satire of the Britain of the Thatcher years. A fun collection of Martin Parr’s food pictures, which documents the simple notion that ‘we are what we eat’. Real Food celebrates all things food through the eyes of the renowned British photographer Martin Parr – a kaleidoscope of foods the world over, from hot dogs to sticky buns and langoustine to lemon meringue pie. Featuring photographs taken throughout Martin Parr’s prolific career to-date, Real Food will comprise the very best of Parr’s iconic imagery – a collection of close-up food shots, in typical garish colour, taken by Parr throughout his travels across the world. Introduced with an essay by Fergus Henderson, British chef and founder of the restaurant St John’s in London, which considers Parr’s photographs in the context of global cuisine, and Parr’s fascination with the social aspect of food that is at the heart of these photographs. Following on the heels of “Martin Parrs” limited-edition, album-style presentation of “Lifes a Beach”, released last season, Aperture is delighted to introduce a new beach-bag-sized edition. Parr has been photographing beaches for many decades, documenting all aspects of them, including close-ups of sunbathers, rambunctious swimmers caught mid-plunge, and the eternal sandy picnic underway. His international career, in fact, could well be traced to the launch of “The Last Resort”, a 1986 book depicting the seaside resort of New Brighton, near Liverpool. What may be less known is that this obsession has led Parr to photograph beaches around the world. This compilation, his first on the topic, presents photos of beach goers on far-flung shores, including Argentina, Brazil, China, Spain, Italy, Latvia, Japan, the United States, Mexico, Thailand, and of course, the U.K. The compilation brings to the forefront Parrs engagement with a cherished subject matter that rare public space in which general absurdities and local quirks seamlessly fuse together. This book shows Parr at his best, startling us with moments of captured absurdity and immersing us in rituals and traditions associated with beach life the world over. England has been a key subject of Magnum photographer Martin Parr’s work since he started taking pictures. Think of England is a comic, opinionated, affectionately satirical, colour-saturated photo-essay about the identity of England. As Scotland and Wales consolidate their status as nations and Great Britain begins to unravel, this book of new work contributes to the debate about what it means to be English. Quintessentially English himself, Parr’s great achievement as a photographer is his ability to transform the obvious into the surprising, reinventing cliches of Englishness as provocative revelations. His tour of obvious England takes in Ascot and the charity shop, seaside resorts, herbaceous borders, the bring-and-buy stall, cucumber sandwiches and cups of tea, baked beans and bad footwear. Parr’s work has already added to the visual vocabulary of England; this book, his first specifically on the subject of England, stretches it further. Simultaneously affectionate and brutally direct, all the photographs are shot with a ring flash camera (more usually used for medical photographs), which has been his medium of choice for the last four years. Martin Parr is an affordable, pocket-sized monograph spanning the influential photographer’s entire career, from his early black and white photographs to works from his major projects, including The Last Resort and Think of England. It features an introductory essay by Sandra S. Phillips, Senior Curator of Photography at SFMOMA. Martin Parr ( Epsom, 23 Maggio 1952) è un fotoreport britannico. Da sempre i suoi progetti fotografici criticano la società moderna, il consumismo, il cibo e il turismo. Nonostante gli inizi come fotografo in bianco e nero, inizia nel 1984 a lavorare a colori, che diventerà presto il suo punto di forza. Infatti, l’uso di foto dai colori molto saturi che enfatizzano il lato buffo e umoristico nei suoi lavori, sono ormai un marchio di fabbrica. Nel 1994 diventa fotografo dell’agenzia Magnum Photos. Nella sua carriera vi è anche una parentesi musicale: nel 2003 la direzione del videoclip della band Londinese dei Pet Shop Boys. Confesso che fatico molto a leggere libri che parlano di fotografia (intesa in senso teorico). Preferisco di gran lunga sfogliare e soffermarmi su libri di fotografie. I libri fotografici sono ormai rimasti l’unica categoria di libri che continuo ad acquistare in formato cartaceo. Oggi, ho letto sul Washington Post un articolo su un libro di Martin Parr e ho pensato di parlarvene. CHINA. Shandong Province. Qingdao. 2010. GB. England. London. Lord Mayors Year. Silent Ceremony. 2014. Martin Parr (Epsom, 23 maggio 1952) è un fotoreporter britannico. Da sempre i suoi progetti fotografici criticano la società moderna, il consumismo, il cibo e il turismo. Nonostante gli inizi come fotografo in bianco e nero, inizia nel 1984 a lavorare a colori, suo punto di forza. Infatti, l’uso di foto dai colori molto saturi che enfatizzano il lato buffo e umoristico nei suoi lavori, sono ormai un marchio di fabbrica. Nel 1994 diventa fotografo dell’agenzia Magnum Photos. Nella sua carriera vi è anche una parentesi musicale: la direzione del videoclip musicale London dei Pet Shop Boys nel 2003. Parr è anche un famoso collezionista e critico di libri fotografici. La sua collaborazione con il critico Gerry Badger (di lui avevamo parlato qua), The Photobook: A History (in tre volumi) include più di 1000 esempi di libri fotografici dal 19° secolo fino ad oggi. Per completare i primi due volumi, ci sono voluti 8 anni! Se v’interessano, li trovate in vendita qua. Questo è il suo sito personale, qua il suo profilo sul sito di Magnum. Marie Claire lo ha intervistato nel 2014, ponendogli simpaticamente 100 domande a bruciapelo. Martin Parr (born 23 May 1952) is a British documentary photographer, photojournalist and photobook collector. He is known for his photographic projects that take an intimate, satirical and anthropological, look at aspects of modern life, in particular documenting the social classes of England, and more broadly the wealth of the Western world. His major projects have been rural communities (1975–82), The Last Resort (1983–85), The Cost of Living (1987–89), Small World (1987–94) and Common Sense (1995–99). Parr is a collector and critic of photobooks. His collaboration with the critic Gerry Badger, The Photobook: A History (in three volumes) covers more than 1,000 examples of photobooks from the 19th century through to the present day. The first two volumes took eight years to complete! Here is his personal website and here his profile on Magnum website. È un mondo da incubo, viscido e claustrofobico. «Mangiano e bevono avidamente junk food scartando confezioni e involucri con un trasporto in grado di mandare in crisi la coscienza liberal. La nostra storica working class, di solito ritratta con magnanimità dai fotografi documentaristi, diventa il bersaglio di un pubblico più sofisticato. Appaiono grassi, goffi, senza stile, noiosamente conformisti e incapaci di affermare alcun tipo di identità individuale. Indossano vestiti sgargianti a buon mercato e, in puro stile conservatore, sono rassegnati al loro misero destino. Solo i neonati e i bambini sopravvivono al ridicolo ed è la loro presenza in molte immagini a dare alla visione disperata di Parr un tocco di poesia». Robert Morris, sul The British Journal of Photography, sentenziava invece: «, dove le persone sono immerse tra confezioni di patatine e nuotano in pozze nere e inquinate scrutando un fosco orizzonte di degrado urbano». Martin Parr (Epsom, 23 maggio 1952) è un fotoreporter britannico. Da sempre i suoi progetti fotografici criticano la società moderna, il consumismo, il cibo e il turismo. Nuove imperdibili mostre! Italia ed estero. Le inaugurazioni da non perdere. April 10 – July 5, 2015 Venue details: Museum Folkwang, Museumsplatz 1, 45128 Essen, Germany. Conflict, Time, Photography brings together photographic reportages and artistic works that focus on war events and their settings, their visible effects and social consequences. The arrangement of the works in the exhibition is somewhat surprising, for it is informed solely by the temporal distance to the event the photographers and artists make reference to, from “moments, weeks, months later” at the beginning of the exhibition to “years and decades later” to “100 years later” in the last of the total of 12 rooms. This gives rise to neighbourhoods of documentary-photographic, photo-artistic and conceptual works that leave it open as to how observers are to view and understand their content – even if it is unmistakeably clear that they address the historical and contemporary fact of war and our ideas concerning it. The exhibition title forgoes putting the terms war, time and photography in a clear relationship. Conflict, Time, Photography is not a photographic or media history of war, neither is it a history of war photography or photography in times of war. Instead the exhibition inquires as to the possibilities and strategies of using photography and art to cope with war and violence: eye-witnessing – searching for clues – stocktaking – remembering – artistic ways of reading archives – return to locations – suggesting the invisible. As an exhibition within the exhibition, the London-based Archive of Modern Conflict has conceived a presentation from its extensive collections of historical photographs, objects, print material and manuscripts. It brings together private shots, official photos, historical equipment and other objects from the years of the First and Second World Wars, fusing them into a multimedia installation. For Essen, a further chapter was added to Conflict, Time, Photography exploring reports on the Ruhr region and Rhineland immediately after the end of the Second World War. At that time local and regional photographers including Albert Renger-Patzsch, Willy van Heekern and Ruth Hallensleben, as well as foreign photojournalists such as René Burri and Margaret Bourke-White, cast their gaze on the destroyed cities and their inhabitants. Their pictures not only present highly diverse perspectives, but also reveal the different aims pursued with the photo reportages. On the one hand we see the suffering of the civilian population among the piles of rubble, on the other a critical evaluation of German society, which found itself confronted with the consequences of Nazi war policy. Organised by Tate Modern, London in association with Museum Folkwang, Essen and Staatliche Kunstsammlungen, Dresden. Inaugurazione mostra venerdì 8 maggio ore 19.30 anticipata dalla presentazione editoriale alle 18.30 dei libri “4” di TerraProject e di “Hotel Immagine” di Simone Donati. Intervengono Michele Borzoni e Simone Donati, modera l’incontro Emiliano Mancuso. L’esperienza esplorativa di TerraProject e Wu Ming è racchiusa nella metafora dei quattro elementi – aria, acqua terra, fuoco – linee guida nella costruzione di immagini di vulcani, impianti industriali, coste, città fratturate e personaggi immaginari. Alle 18.30 Simone Donati Presenterà il libro Hotel Imma I quattro capitoli del progetto – aria, acqua, terra, fuoco – sono dunque il frutto di un processo di selezione collettiva, un nuovo punto di partenza, quattro nuclei dentro i quali Wu Ming 2 si è orientato nella costruzione di quattro racconti. Cremona, novembre 2010. La nuova zincheria di Arvedi. La società siderurgica è tra i principali responsabili dell’inquinamento atmosferico della città. Ancona, luglio 2009. Scaletta sulla spiaggia cittadina del Passetto. Isola di Vulcano, ottobre 2008. Vapori sulfurei sul cratere del vulcano. Gibellina Vecchia, maggio 2009. Resti di una abitazione a 20 chilometri dalla città nuova. Questo nuovo organismo fatto di parole e figure diventa un dispositivo che sposta la mera natura documentaria portandoci in un territorio altro, letterario e non solo geografico, fatto di una narrazione punteggiata da precisi riferimenti visivi che diventano i protagonisti di nuove storie. La natura della rappresentazione fotografica si apre a nuove possibilità espressive, 4 diventa un lavoro a più mani che ha un nuovo ritmo fatto di scrittura e immagine integrate. Il progetto è diventato anche un libro illustrato a cura di Renata Ferri e con il design di Ramon Pez. Un progetto editoriale, completamente autoprodotto, in cui i due linguaggi – immagine e parola – sono intrinsecamente incastrati uno nell’altro. Per maggiori informazioni è online la pagina www.terraproject.net/quattro. l Tema di Expo Milano 2015 “Nutrire il Pianeta, Energia per la Vita” rappresenta una fotografia planetaria – una immagine istantanea, precisa quanto variegata – di tutte le declinazioni possibili dell’alimentazione nel globo e, allo stesso tempo, di tutte le problematiche connesse alla sostenibilità, alla sicurezza, alla disponibilità del cibo per tutti gli abitanti del globo. La fotografia di conseguenza, tra le proposte della visitor experience, è il media che meglio interpreta la visione e la finalità dell’Esposizione Universale evidenziando e narrando gli aspetti più diversi dal reportage all’antropologia, dalla visione della natura a quella dell’arte. Il suo ruolo sempre più rilevante nella società come documento della realtà, come mezzo di comunicazione e come linguaggio artistico contemporaneo testimonia la capacità di portare verso il grande pubblico temi di grande importanza per il pianeta creando emozione e riflessione con un linguaggio artistico evocativo di forte empatia. I progetti dedicati alla fotografia di Expo Milano 2015 – dai Cluster del sito espositivo all’Area tematica “Arts & Foods. Rituali dal 1851” alla Triennale di Milano sino ai numerosi Festival e iniziative sia italiane che europee – sono stati presentati oggi all’Agorà del Castello Sforzesco da Giuseppe Sala, Commissario Unico Delegato del Governo per Expo Milano 2015 e Amministratore Delegato di expo 2015 SpA, James Msekela, Commissario Generale e Ambasciatore della Tanzania a Roma, Andrea Illy, Presidente e Amministratore Delegato di illycaffè SpA, Roberto Koch, Fondatore e Direttore di Contrasto, Ferdinando Scianna, fotografo Magnum Photos, Irene Kung, fotografa Contrasto, Enrico Deluchi, Amministratore Delegato Canon Italia SpA. “Le nove mostre fotografiche all’interno degli spazi comuni dei Cluster – ha affermato Giuseppe Sala – saranno uno dei fiori all’occhiello dell’offerta culturale di Expo, grazie al contributo di illy, che per primo ha portato Salgado, e alla collaborazione di Expo con Magnum/Contrasto, che ha costruito una grande mostra, con otto fotografi di fama internazionale chiamati a mostrare il loro sguardo con otto lavori originali sui temi specifici di ciascun Cluster”. James Msekela è intervenuto sull’importanza dei Cluster per i Paesi e sui caratteri innovativi di questo progetto collettivo di Expo Milano 2015 – che vede la Tanzania presente con un Padiglione di 125 metri quadrati all’interno del Cluster delle Spezie – oltre che sulla capacità attrattiva di queste straordinarie immagini fotografiche che aggiungono valore alla visita del pubblico rendendola unica e indimenticabile. “Magnum Photos e Contrasto sono davvero orgogliosi e lieti di portare la grande fotografia a Expo Milano 2015 – ha detto Roberto Koch – La collaborazione, avviata fin dall’inizio del 2014 e portata avanti con grande entusiasmo, ci ha permesso di realizzare un progetto con alcuni dei più importanti fotografi del mondo, ognuno dei quali si è impegnato a produrre immagini sui diversi temi dei Cluster. Molte produzioni speciali sono state realizzate in tutto il mondo, dalle Isole Oceaniche all’Asia, all’Africa, all’Europa, con i fotografi di Magnum (e non solo), con il lavoro di Gianni Berengo Gardin, Irene Kung, Joel Meyerowitz, Martin Parr, Alessandra Sanguinetti, Ferdinando Scianna, George Steinmetz, e Alex Webb. Una occasione imperdibile per mettere al centro di Expo la grande fotografia di documentazione d’autore, nella magnifica tradizione di Magnum Photos, consolidata nel mondo da 70 anni. Siamo grati a Expo e a Matteo Gatto di questa opportunità e orgogliosi che Milano, capitale del mondo durante Expo, sia anche il luogo di affermazione della grande fotografia, come insostituibile racconto del mondo.” Il progetto di mostre fotografiche sui temi dei Cluster di Expo Milano 2015 è stato realizzato da nove grandi autori della fotografia contemporanea – Ferdinando Scianna, Martin Parr, Gianni Berengo Gardin, Alex Webb, Irene Kung, Alessandra Sanguinetti, Joel Meyerowitz, George Steinmetz, Sebastião Salgado – che li hanno interpretati con linguaggi personali differenti per avvicinare e coinvolgere gli oltre venti milioni di visitatori attesi da tutto il mondo. Nove eventi artistici di grande qualità e richiamo mediatico, nove installazioni prodotte per questa occasione e pensate con un impianto scenografico dove i valori informativi sappiano emergere in un percorso immediato e attrattivo. Le filiere alimentari al centro dei nove Cluster sono Cacao, Caffè, Cereali-Tuberi, Frutta – Legumi, Isole Oceaniche, Biomediterraneo, Riso, Spezie, Zone aride e a ciascuna sarà dedicata una mostra fotografica che guiderà il pubblico nella conoscenza delle modalità con cui le diverse coltivazioni e il lavoro dell’uomo nutrono il pianeta e i suoi abitanti fornendo la vera ed essenziale energia del futuro. Cluster Riso. Terre di Riso: la Pianura Padana e altre piantagioni di riso immortalate dagli scatti dell’italiano Gianni Berengo Gardin, maestro della fotografia internazionale, che ha indagato per anni la coltura e la raccolta del riso, dalle valli del Piemonte e della Lombardia alla Cina e alla Francia. Cluster Frutta – Legumi – Il giardino delle meraviglie: la svizzera Irene Kung attraverso le sue fotografie artistiche mostrerà la straordinaria bellezza degli alberi da frutta e dei legumi. Cluster Cereali – Tuberi: la varietà delle diverse specie di Pane del mondo immortalate dall’americano Joel Meyerowitz con delle installazioni prodotte appositamente. Cluster Cacao. Il cioccolato: il cioccolato prodotto, consumato e venduto in tutto il mondo grazie allo sguardo dell’inglese Martin Parr, Presidente di Magnum, che nel corso dei suoi viaggi, è stato testimone del consumo e della varietà con cui il cacao attraversa la vita di tutti gli abitanti del pianeta. Cluster Caffè: il grande fotografo brasiliano Sebastião Salgado, ha lavorato negli ultimi dieci anni fotografando la coltivazione, la raccolta, l’essiccamento, la selezione e il trasporto del caffè, in vari paesi del mondo, con un racconto lirico ed epico degli uomini e delle donne che lo producono. Cluster Isole del Pacifico: La natura primigenia, l’esotismo. La carnalità della Natura viste dall’americana Alessandra Sanguinetti di Magnum che mostrerà la vita delle famiglie nelle Isole Oceaniche, con tre storie diverse realizzate negli Oceani Atlantico, Pacifico e Indiano. Cluster Biomediterraneo: la cultura, la storia, il paesaggio illustrati attraverso le fotografie di Ferdinando Scianna, fotografo italiano di Magnum che del racconto del Mediterraneo ha fatto oggetto della ricerca artistica di tutta la sua vita, a partire dalle sue origini siciliane ed esplorando altri paesi per documentare la cultura, la vita e i riti che la accompagnano. Cluster Zone Aride- In volo sui deserti: l’americano George Steinmetz, mostrerà le Zone Aride del mondo dall’alto, attraverso un suo speciale deltaplano costruito appositamente, con delle magnifiche visione di queste zone in molti casi riadattate alla fertilità e alla coltivazione di prodotti agricoli. Cluster Spezie. La Via delle Spezie: l’americano Alex Webb, membro di Magnum e sognante interprete della fotografia di viaggio e uno degli autori più in vista del National Geographic, racconterà la grande varietà selle spezie attraverso un itinerario che lo porterà a ripercorrere l’antica Via delle Spezie e i mercati dell’Asia. Martedì 12 maggio alle ore 19.30 presso la Leica Galerie Milano (Via Mengoni, 4 – angolo Piazza Duomo), Leica Camera Italia inaugura la mostra “The Western Front” del celebre fotoreporter statunitense Stanley Greene, dal 2007 fondatore e membro dell’agenzia NOOR. 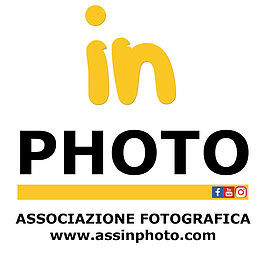 L’esposizione, realizzata in collaborazione con aBcM – agenzia milanese che da anni sviluppa e produce progetti speciali dedicati alla fotografia d’autore -, per la prima volta in Italia offre ai visitatori la più importante edizione del lavoro di Greene con una selezione di 27 scatti, un lavoro unico sulla scena musicale punk a San Francisco negli anni ’70 e ‘80. Stanley Greene, fotoreporter di fama internazionale, nasce nel 1949 a Brooklyn (New York).Si avvicina al fotogiornalismo nel 1989, anno in cui il suo scatto “Kisses to All, Berlin Wall” diventa il simbolo indiscusso della caduta del Muro di Berlino. Nel corso della sua carriera documenta alcuni dei maggiori conflitti mondiali: dalla Georgia all’ Iraq, fino a Somalia, Kashmir, Libano e Ruanda. E’conosciuto in tutto il mondo in particolare per il suo reportage dedicato alla guerra in Cecenia, diventato poi un celebre libro (Open Wound). E’ inoltre vincitore del prestigioso Eugene Smith Humanistic Grant e del Getty Award for Editorial Images del 2011. Per l’occasione, il fotografo sarà presente alla serata di inaugurazione. Per la prima volta, dal 6 maggio al 27 settembre 2015, la mostra di Sebastião Salgado per illy, dal titolo PROFUMO DI SOGNO. Viaggio nel mondo del Caffè, sarà proposta alla Fondazione Bevilacqua La Masa di Venezia, con la collaborazione di Contrasto. La mostra è a cura di Lélia Wanick Salgado. La mostra, allestita negli spazi di Piazza San Marco, si compone di una selezione di 75 scatti più rappresentativi del viaggio fotografico compiuto dal grande maestro insieme a illy per omaggiare gli uomini e le donne del caffè: una storia di persone, di paesaggi, di rapporto armonioso con la terra raccontata attraverso immagini in bianco e nero dal forte impatto espressivo, evocativo ed emozionale. “PROFUMO DI SOGNO. Viaggio nel mondo del Caffè” si propone così come il più grande reportage mai realizzato prima dedicato al mondo del caffè. Dal 2003 ad oggi Salgado ha documentato negli anni dieci Paesi da cui illy acquista il caffè: Brasile, India, Indonesia, Etiopia, Guatemala, Colombia, Cina, Costa Rica, El Salvador e Tanzania. L’anteprima dedicata alla stampa si svolgerà martedì 5 maggio 2015 dalle 11:00 alle 13:00 presso la Fondazione Bevilacqua LaMasa, Piazza San Marco 71/c – Venezia, alla presenza del grande fotografo Sebastião Salgado. La mostra è accompagnata anche dal libro pubblicato da Contrasto “PROFUMO DI SOGNO. Viaggio nelmondo del Caffè”, che racconta il viaggio nelle piantagioni di caffè attraverso le immagini del grande fotografo umanista e le parole di Andrea Illy, Luis Sepulveda, Angela Vettese e lo stesso Sebastião Salgado. Il libro è curato da Lélia Wanick Salgado, moglie del fotografo. Brasiliano di origine, narratore del mondo per passione, Sebastião Salgado conosce bene la vita dei coltivatori di caffè, avendoli osservati fin dall’infanzia: nato nel 1944 in una numerosa famiglia dello Stato interno del Minas Gerais in Brasile, luogo da cui suo padre trasportava il caffè verso i porti lungo la costa, in seguito economista alla International Coffee Organization, ha scelto negli anni di farsi testimone dello sviluppo sostenibile del pianeta. Michael Kenna è un fotografo forse ancora non diffusamente conosciuto in Italia, nonostante sia da anni apprezzato dagli addetti ai lavori di tutto il mondo. I suoi soggetti sono la natura, i tesori architettonici, le città e le aree industriali, che si ammantano di una propria bellezza inquietante anche nel caso più eclatante delle centrali nucleari. Michael Kenna guarda a questi luoghi da inaspettati punti di vista fisici e mentali e lo fa muovendosi in certi momenti della giornata in cui la luce deve ancora manifestarsi completamente a plasmare i soggetti.